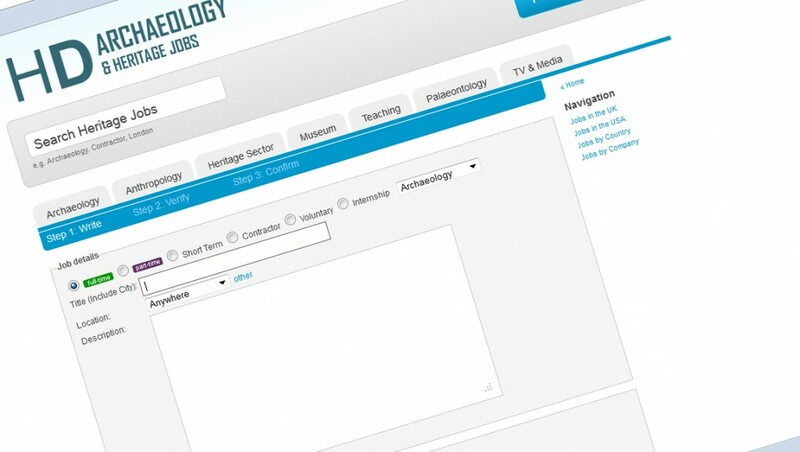 HeritageDaily, a leading archaeology and heritage magazine is launching a new job section to promote opportunities in heritage, archaeology, anthropology and museums. Heritage Daily is a high trafficked independent online archaeology and palaeontology magazine, dedicated to the heritage and history of the world. We identified the need for a central resource offering the latest archaeological/paleontological news, journals, articles and press releases.Our contributors range from students currently studying archaeology at University, professional academics working in the field, historians and those with an interest in the archaeological discipline. We are a featured news broadcaster on the Council of British Archaeology Latest News and collaborate with several archaeology media companies. We are offering this new job service free of charge to featured recruiters with no hidden costs. Jobs remain active for thirty days, and can be disabled at any time by recruiters from a link emailed directly to the recruiter after the job has gone active. You can also edit your advert (after placement) through a unique link location in the confirmation email of approval of your advert. As a recruiter, you can allow “Online Applications,” meaning potential candidate details are emailed directly to you (including CV), alternatively leave contact details on how to apply can be placed in the job description. We hope you take advantage of this free and exciting new service from the HeritageDaily Team.